One of the more frustrating issues are when you debug code in eclipse and want to debug a third party jar but do not have the source. 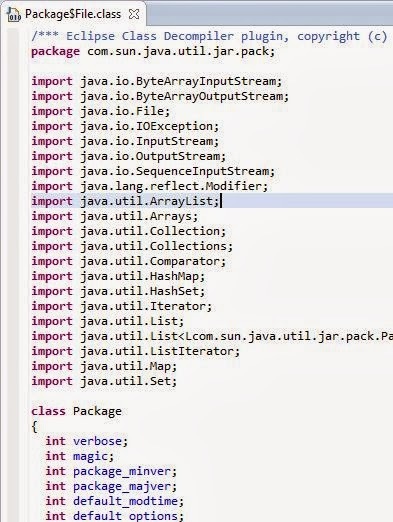 This does not always work, since not all jar’s supply the source files. 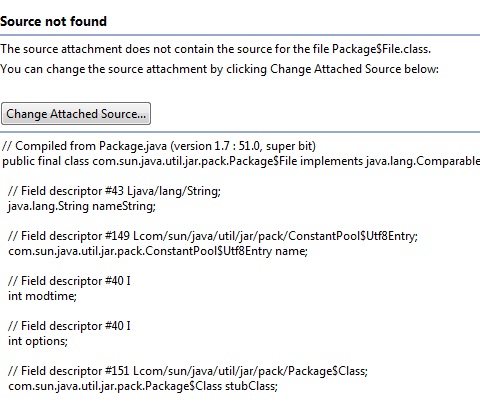 In addition there are third part jar’s or sun jar’s that do not have source files. For this we have decompile utilities. The most famous one is jad (http://en.wikipedia.org/wiki/JAD_(JAva_Decompiler)).